The Trump Organisation, according to its website, is the world’s only global luxury real estate super-brand, and is responsible for many of the world’s most recognised developments. Trump is renowned for its leadership in real estate development, sales and marketing, and property management representing the highest level of excellence and luxury in residential, office, and retail properties. Meanwhile, 70-year-old Donald Trump lives in New York and has reportedly spent just $18 million of his $4.5bn fortune on his presidential campaign. While Mr. Trump continues his laser-focus on his bid for the White House, we look at Trump's most renowned developments, and then look at the astonishing list of entities he's an executive of (required to be disclosed of presidential candidates). One of the most visually striking skyscrapers ever built, the original Trump Tower has been one of New York’s most famous and exclusive addresses since its completion in 1983. Designed by architect Der Scutt, the 68 story tower rises above Fifth Avenue between East 56th and East 57th streets adjacent to Tiffany’s. The dramatic glass curtain wall with floor to ceiling windows offers spectacular views of Central Park, Manhattan and beyond. Accessible through a private entrance on 56th street, the residential condominiums comprise floors 30 through 68, with office, retail and fine dining space below. 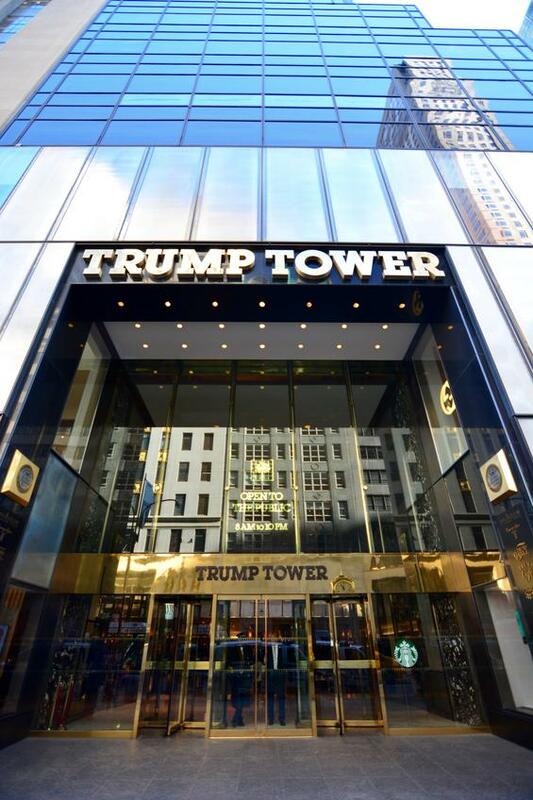 Exclusive and exciting, Trump Tower will always be considered the greatest condominium building in Manhattan, if not the world. Comprised of 1.3 million square-feet of office space distributed over 72 stories, this 1930 property was once the tallest building in the world. Originally named the Manhattan Company Building, and designed by architects H. Craig Severance and Yasuo Matsui, it towers over the city as a reminder of New York’s global import. After years of vacancy, Donald J. Trump purchased the property, invested more than $200 million in restorations, and brought it to the peak of its original grandeur. The high profile tenants that occupy the Trump building represent the pinnacle of New York City in their international prestige and power. Las Vegas means Glamour. Style. Excitement. Amid this culture of high rollers and glitterati, Trump International Hotel Las Vegas rises 64 stories high, bringing style and elegance to the heart of the Entertainment Capital of the World. Adjacent to some of the city’s best shopping and casinos, the gold glass tower offers panoramas of the Strip and a haven of an unsurpassed experience within. Within the 1,232 ultra-luxury hotel condominium suites and 50 exclusive penthouse suites, white-gloved doormen, valet parking and 24-hour concierge service will treat residents as VIP guests. And with a full service sumptuous day spa, fitness centre, salon and Five-Star acclaimed restaurant, DJT, the amenities are beyond world class. Lounge by the outdoor heated pool and sundeck, make the most of the business centre and meeting rooms. This will be your home, pampering you with a level of excellence that is undeniably Trump. 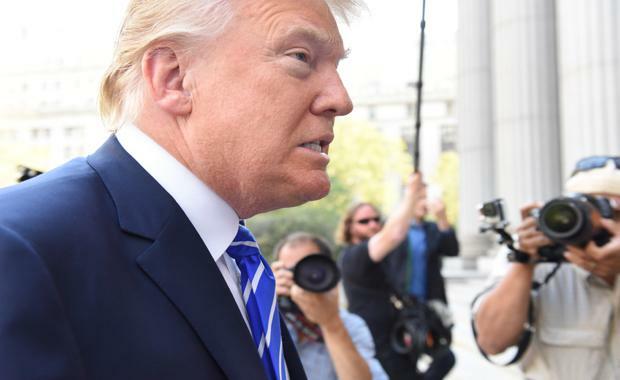 Candidate financial disclosure forms were released on Wednesday, July 22, by the Federal Election Commission; these documents required Trump to list all entities for which he serves as an executive. Of the 515 listed in the disclosure, 268 of them - over half- contain the word 'Trump'. It's a long list but worth a look. The Donald J. Trump Foundation, Inc. The Trump Follies Member Inc.
Trump Development Services Member Corp.
Trump International Golf Club Inc.
Trump Las Vegas Sales & Marketing Inc.
Trump Marks Istanbul II Corp.
Trump Marks Jersey City Corp.
Trump Marks Mattress Member Corp.
Trump Marks New Rochelle Corp.
Trump Marks Sunny Isles I Member Corp.
Trump Marks Sunny Isles II Member Corp.
Trump Plaza Member Inc. fka Trump Plaza Corp.
Trump Scotsborough Square Member Corp.
Trump Toronto Hotel Management Corp.
Trump Vineyard Estates Manager Corp.
Trump Virginia Lot 5 Manager Corp.
Trump Wine Marks Member Corp. The Donald J. Trump grantor Trust – DJT is the Trustee Successor – Trustee is Donald J. Trump, Jr.